DISCLAIMER: (February 1, 2019) The views expressed in the translated editorial are solely the opinions of the Journal de Montréal and its editors. Today, the French language populist newspaper Le Journal de Montreal published an article that states that it is “no coincidence” that Health Canada featured dried beans so prominently in the new Canada Food Guide; ‘certainly they are good for health’, but there is also an ‘obvious economic benefit and benefit to local agricultural interests'. The Journal de Montreal article states that one of the additional reasons legumes (pulses) were highlighted in the new Canada Food Guide was because Agriculture Canada had forecast a 20% decrease in production of legumes during 2019. The reason for this decrease production is outlined below. This means that by growing legumes one season, the soil becomes enriched with nitrogen which helps the growing of other food crops the following growing season. Last March, the CBC reported that India, a top importer of Canadian chickpeas and lentils imposed a huge tariff on legumes which resulted in Canadian producers facing duties of 33% on lentils and 50% on desi chickpeas. The type that Canada produces are kabuli chickpeas, which have a slightly lower tariff of 40% . These tariffs resulted in a decreased demand for Canadian legumes (pulses), as well as a price decline. CBC also reported  that India’s imposed tariffs on pulses has sent “a huge ripple effect through the whole industry” as dried beans are a 1.1 billion dollar industry in Saskatchewan alone and India is it’s biggest customer. “Farmers are calling on Prime Minister Justin Trudeau for help to make sure that business continues and to consider the importance of agriculture in Canada”. New Canada Food Guide – free of influence? The article in Le Journal de Montreal raises the question as to how much of the prominent inclusion of legumes (pulses) in the new Canada Food Guide has to do with their reported health benefits and how much may have been driven by industry or lobby groups influence on various levels of government due to decreased demand and resulting falling production. UPDATE:(February 3, 2019): While it is evident from the CBC report above that the pulse industry was exerting pressure on various levels of the Federal government to address decreased demand for its product, decreased legume production would have been factored into the design of the new Canada Food Guide as both (1) the role of legumes and plant-based dietary patterns on health and (2) food availability of legumes in light of decreased production would have necessarily been evaluated i.e. two of the four of the direct influences involved Dietary Guidance design. [see “Evidence Review for Dietary Guidance: Summary of results and implications for Canada’s Food Guide, 2015” – available here) which on page 2 refers to the longer document “Colapinto CK, Ellis A, Faloon-Drew K, Lowell H Developing an evidence review cycle model for Canadian dietary guidance. Journal of Nutrition Education and Behavior. 2016;48:77-83)” that has Figure 2, below. This figure indicates that Food Availability of the Food Supply is one of the four direct influences in the development of Dietary Guidance. Figure 2 Adapted Framework for Developing Dietary Guidance – Evidence Review Cycle Model for Canadian Dietary Guidance, from Colapinto et al 2016 While decreased legume production (i.e. food availability) would have been factored into the decision for Canadians to include more legumes in their diet for health benefits on the new Canada Food Guide, I can find no evidence that legume’s benefit to agriculture was ever evaluated. Some thoughts… I think it is important to know what is said in the populist press about important issues such as this because a large segment of the population relies on such sources, as well as the internet for their news. Often times such stories are based on truth but leave what isn’t said up to the audience (readers or listeners). Knowing the facts behind the story enables us to tease out conjecture from fact. If you would like to learn more about what I do and how I can help, please have a look at the Services tab to learn more about the hourly consultations and packages that I offer. If you have questions about my services, please send me a note using the Contact Me form located on the tab above and I will reply as soon as I can.To your good health! Le Journal de Montreal – 29 January 2019 0600 https://www.journaldemontreal.com/2019/01/29/des-arguments-de-pois? The familiar “rainbow” visual has been replaced with clear, simple photography illustrating food choices. 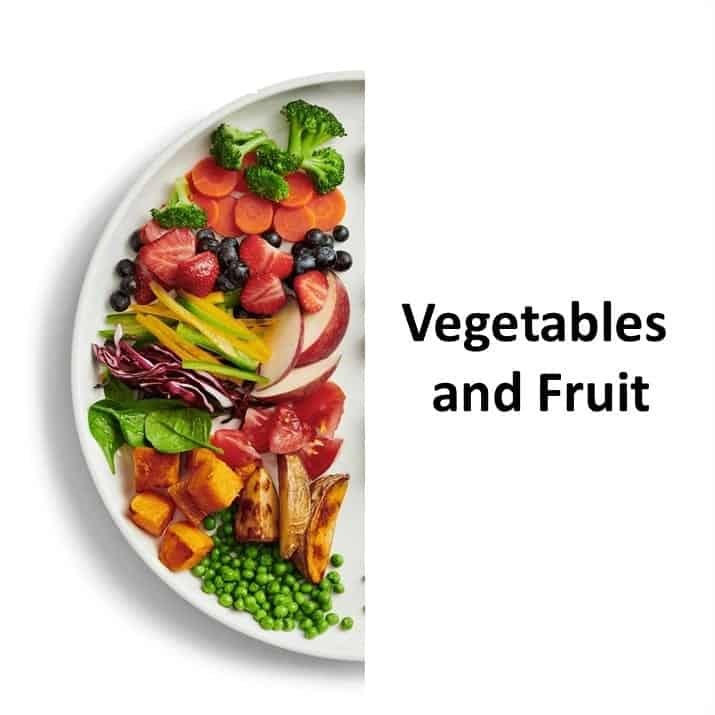 In response to feedback from focus groups that the draft of the Guide focused too much on “how to eat” but didn’t provide adequate direction on “what to eat”, the final version clearly illustrates the proportion of vegetables and fruit, grains and protein foods to eat on a plate. 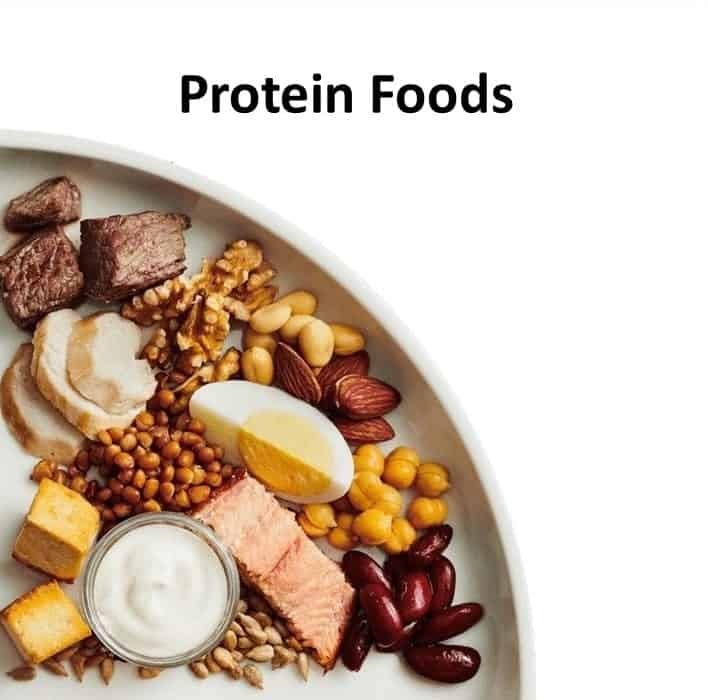 As anticipated in the draft, the new Canada Food Guide dropped the Meat and Milk groups replacing it with an all-inclusive Protein food group which includes approximately equal amounts of animal-based and plant-based proteins. Animal-based proteins included beef, poultry, fish, egg and yogurt. Noticeably absent from animal-based proteins was cheese. Fruit as blueberries, strawberry and apple was illustrated as a small proportion of the overall. The place setting showed a glass of water with the words “make water your drink of choice”; which indicates that fruit juice and pop (soft drinks) are not included as part of a recommended diet, but what about milk? While this diet may be fine for those who are metabolically healthy, research indicates that as many as 88% of Americans  are already metabolically unwell, with presumably a large percentage of Canadians as well. This would indicate that for a large percentage of Canadians that are metabolically unwell, a diet that provides provides ~325-375 g of carbohydrate per day (based on a 2000 kcal per day diet) is not going to adequately address the underlying cause. While there is evidence that a high complex carbohydrate diet with very low fat and moderately-low protein intake (called a “whole food plant based” / WFPB diet) will improve weight and some markers of metabolic health, there is also evidence that a WFPB diet doesn’t work as well at improvements in body weight and metabolic markers as a low carbohydrate higher protein and fat (LCHF) diet. This will be addressed in a future article. 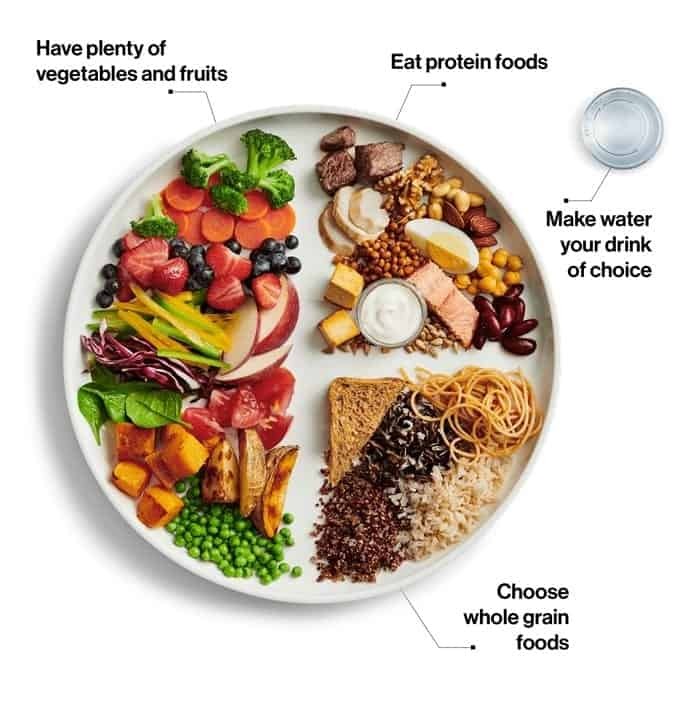 The purpose of Canada’s Food Guide is to provide guidance for healthy Canadians so in actuality, this diet may only be appropriate for ~15% of adults. This article explains may explain why cheese was not included as part of the visual representation of animal-based Protein Foods in the new Guide and why milk was not visually represented because “the only food group that contains more saturated than unsaturated fat is dairy”. Are Canadians being encouraged to avoid cheese and milk because they are high in saturated fat? Where is the evidence that saturated fat contributes to heart disease? The recently released 2018 Clinical Practice Guidelines (CPG) Guidelines of Diabetes Canada recommend that those with Diabetes continue to eat 45% to 65% of their daily calories as carbohydrate, 10% to 35% of their daily calories as protein and only 20% to 35% of their daily calories, yet affirm that there is “evidence to support a number of other macronutrient-, food- and dietary pattern-based approaches” and that “evidence is limited for the rigid adherence to any single dietary approach” . So what is a “Mediterranean-style dietary pattern”? Countries with coastlines on the Mediterranean Sea include Albania, Algeria, Bosnia and Herzegovina, Croatia, Cyprus, Egypt, France, Greece, Israel, Italy, Lebanon, Libya, Malta, Morocco, Monaco, Montenegro, Slovenia, Spain, Syria, Tunisia and Turkey and the diets of these countries vary considerably, so there isn’t only ONE “Mediterranean Diet”. What is the Mediterranean Diet that the Clinical Practice Guidelines are referring to? It would seem that they are referring to dietary intake based of southern Italy from the 1960s from when rates of chronic disease were reported to be amongst the lowest in the world and adult life expectancy was reported to be amongst the highest. That is, the health benefits of “The Mediterranean Diet” came out of Ancel Keys’ Six Country Study (1953) and later his Seven Countries Study (1970). More on that below. In 1953, Ancel Keys published the results of his “Six Countries Study“, where it is said he demonstrated that there was an association between dietary fat as a percentage of daily calories and death from degenerative heart disease. Four years later, in 1957, Yerushalamy published a paper with data from 22 countries , which showed a much weaker relationship between dietary fat and death by coronary heart disease than was suggested by Keys’s six country data (see below). from .Keys, A. Atherosclerosis: a problem in newer public health. J. Mt. Sinai Hosp. N. Y.20, 118–139 (1953). Nevertheless, in 1970, Keys went on to publish his Seven Countries Study in which he maintained that there was an associative relationship between increased dietary saturated fat and Coronary Heart Disease – ignoring the data presented in Yerushalamy’s 1957 study and failing to study countries such as France, in which the relationship did not hold. In Keys’ paper published in 1989  which was based on food consumption patterns in the 1960s in the seven countries, he found that the average consumption of animal foods (with the exception of fish) was positively associated with 25 year Coronary Heart Disease deaths rates and the average intake of saturated fat was strongly related to 10 and 25 year CHD mortality rates. Keys published this study 32 years after Yerushalamy’s 1957 paper which showed a significantly weaker relationship, yet it seems that people only remember Key’s data. Countries with coastlines on the Mediterranean Sea on which there was known dietary and disease data in 1957 and that Keys later ignored in 1970 included France (labelled #8 on Yerushalamy’s graph above) and Israel (labelled #11). France is known for the “French paradox” (a term which came about in the 1980s) because of their relatively low incidence of coronary heart disease (CHD) while having a diet relatively rich in saturated fats. According to a 2004 paper about the French Paradox, there was diet and disease data available from the French population that was carried out in 1986–87 and which demonstrated that the saturated fat intake of the French was 15% of the total energy intake, yet such a high consumption of saturated fatty acids was not associated with high Coronary Heart Disease incidence in France . Nevertheless, Keys published his 1989 study  ignoring the French dietary and disease data that was available from 1986-1987 . Was it because it didn’t fit his hypothesis? The diet of the French in the 1960’s was every bit a “Mediterranean Diet” as that of southern Italy, but since Ancel Keys ignored (or did not study) the French data in the 1960s, that “Mediterranean Diet” remains ignored in the guidelines of today. According to the French Paradox paper, high saturated fat intakes combined with low Coronary Heart Disease rates were also observed in other Mediterranean countries, including Spain and that rates in other non-Mediterranean Europeans countries such as Germany, Belgium are similar . Perhaps then, a ‘true’ Mediterranean Diet which is protective of Coronary Heart Disease ought not to be defined as being largely “plant-based” and “low in consumption of red meat and dairy” – which the French diet clearly is not, but rather should focus on being a diet high in consumption of specific types of vegetables and fruit, nuts and seeds, abundant in the use of olive oil and that includes regular consumption of wine with meals. As outlined in a recent article, eight recent meta-analysis and systemic reviews which reviewed evidence from randomized control trials that had been conducted between 2009-2017 did not find an association between saturated fat intake and the risk of heart disease. As well, recently published results from the Prospective Urban and Rural Epidemiological (PURE) Study, the largest and most global epidemiological study carried out to date and published in the Lancet in December 2017 found that those who ate the largest amount of saturated fats had significantly reduced rates of mortality (death) and that low consumption of saturated fat (6-7% of calories) was actually associated with increased risk of stroke. Also as described in a recent article, a study published at the end of March 2017 in Nutrients and which examined health and nutrition data from 158 countries worldwide found that total fat and animal fat consumption were least associated with the risk of cardiovascular disease, and that high carbohydrate consumption, particularly as cereals and wheat was most associated with the risk of cardiovascular disease – with both of these relationships holding up regardless of a nation’s average national income. The 2018 Clinical Practice Guidelines continue to recommend the health benefits of a “Mediterranean style diet” defined based on the 60-year-old-data of Ancel Keys’ Six Countries Study / 50 year old Seven Countries Study- when we now know that Keys excluded data that was available from countries including France, which did not fit his hypothesis. Given that there seems to be increasing evidence that Keys’ Diet-Heart Hypothesis (the belief that dietary saturated fat causes heart disease) has been significantly challenged by newer data, is it not time to study the factors in the diet of this region that ARE protective against cardiovascular disease, and to redefine a Mediterranean diet in these terms? Would you like to have a Meal Plan that emphasizes the foods of this region, including meat and cheese, fish and seafood, vegetables and fruit, nuts and seeds, olive oil and wine and which may play a protective role in heart heath? Please send me a note using the Contact Me form located on the tab above, and I will reply as soon as possible. Trichopoulou A, Costacou T, Bamia C et al, Adherence to a Mediterranean Diet and Survival in a Greek Population, N Engl J Med 2003;348:2599-608. Keys, A. Atherosclerosis: a problem in newer public health. J. Mt. Sinai Hosp. N. Y.20, 118–139 (1953). Ferrières J. The French paradox: lessons for other countries. Heart. 2004;90(1):107-111. Low Carb or Keto – what can you eat? Most criticism of a low carb lifestyle or ketogenic diet centers around a few common misconceptions including that such a lifestyle is “restrictive”, “imbalanced”, or that it’s “not sustainable”. This article addresses all three. What makes a low carb diet “keto” is the amount of carbohydrate that is eaten. There are different types of therapeutic ketogenic diets which have different clinical applications, including use in epilepsy and seizure disorder, specific types of cancer, Polycystic Ovarian Syndrome (PCOS), weight loss and improving insulin sensitivity and in each case, the ratio of protein to fat is specific to the condition (and in cases of weight loss and improving insulin sensitivity, to the individual). While our bodies have an absolute requirement for essential amino acids, and essential fatty acids, as covered in detail in an earlier article, according to the Dietary Reference Intakes for Energy, Carbohydrate, Fiber, Fat, Fatty Acids, Cholesterol, Protein and Amino Acids (2005) there is no essential need for dietary carbohydrate provided that “adequate amounts of protein and fat are consumed”. That is, a low carb or ketogenic diet can be ‘complete’ as long as it supplies adequate amounts of protein (with all essential amino acids) and fat (with the essential fatty acids) and also provides the other nutrients the body requires (such as vitamins and minerals). This is where I can help. I’ll design a nutritionally adequate Meal Plan specifically for you, in light of any clinical conditions you may have and factoring in your goals in choosing to eat this way. Let me address the common (but unfounded) misconceptions that a low carb or ketogenic diet is “restrictive”, “imbalanced” or “not sustainable”. Usually, when people make comments like these, they have absolutely no idea that there are different types of low carb and keto diets. Ketogenic diets used in epilepsy and seizure disorder are very specific, as are ketogenic diets used for those with specific types of cancer. Ketogenic diets used to target insulin resistance associated with Type 2 Diabetes or pre-Diabetes are different again. 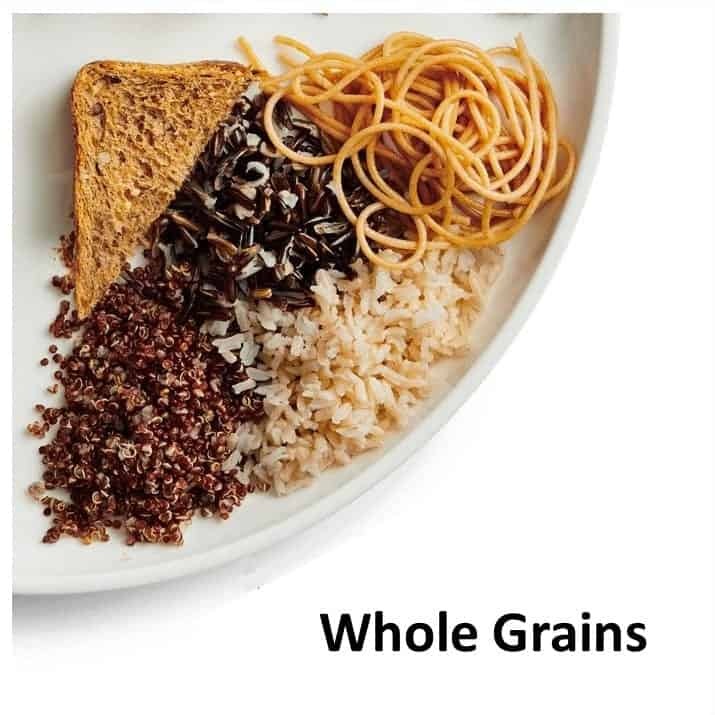 Foods and ratios of foods eaten when following a low carb diet targeting insulin resistance based on Dr. Jason Fung’s approach will differ somewhat from a low carb diet based on Dr. Eric Westman’s approach. A low carb diet based on Dr. Stephen Phinney and Dr. Jeff Volek’s approach will be different during the weight loss phase than during weight maintenance. As well, some low carb diets target protein and others target fat. Some promote unrestricted saturated fat in all forms, including bacon and cream, while others don’t. For example Dr. Fung’s approach does not limit eggs, cream and bacon and for weight loss, Dr. Westman’s approach does. In my practice, I focus on whole, unprocessed foods that are naturally low in carbohydrates and that come from a wide range of food categories, including non-starchy vegetables, plant fats, low sugar fruit, meat fish poultry and seafood, and animal fat. I encourage people to eat the fat naturally found in the flesh of animal protein, but to trim meat of extraneous visible fat. If people enjoy eating bacon from time to time, I’d encourage them to obtain one that is naturally cured and smoked and to eat it on occasion rather than daily. From my perspective, it makes no sense for someone seeking weight loss to ‘add fat’ to foods for the sake of adding fat (e.g. ‘bulletproof’ coffee or ‘fat bombs’). 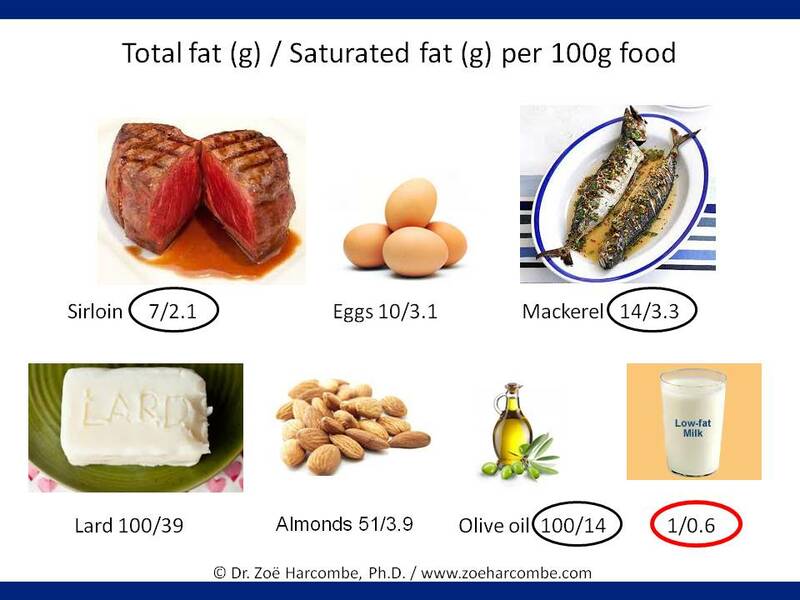 If people want to have a bit of cream in their coffee or a touch of butter on their asparagus there’s no reason why not, as there is nothing intrinsically ‘dangerous’ about fat, even saturated fat (more on this in upcoming blogs!). However from my perspective, adding coconut oil and butter to coffee for the sake of “adding fat” makes no sense, even for those following a “ketogenic” diet. I encourage folks to pursue health, not ketones. Note: There are very few physiological conditions that require very high fat intake such as specialized diets for epilepsy or seizure disorder or for specific types of cancer as an adjunct to treatment. To address the misconceptions that a low carb or ketogenic diet is restrictive, imbalanced or in any way unsustainable, below are some photos of types of foods that I prepare and eat. Everybody has different types of foods that they enjoy, these are simply some of mine. Keep in mind that in some photos, only the main course is shown not the large salad or side of cooked vegetables which almost always accompanies it. As well, many of the servings shown are of one of my young adult son’s plates, rather than mine (my serving sizes are different because my nutritional needs are different). I am showing these photos to dispel the myth that eating a low carb diet is in any way “restrictive”, “imbalanced” or “not sustainable” and I hope they give you some ideas of the wide range of whole, delicious food that is available to be enjoyed when pursuing a low carb or keto lifestyle. Shakshuka is weekend breakfast or brunch food, that I usually serve with a huge mixed green salad or cucumber and tomato salad. Another favourite on the weekend is Vanilla Bean Pancakes – which one of my young adult sons loves to smother in butter (too much butter for me!). That day, he had poached eggs on the side and a mixed green salad with pumpkin seeds and pomegranate arils on top, drizzled with cold-pressed olive oil. Below is a totally decadent plate that I made this past Sunday from the other half of my rib steak that I cooked the night previously (way too much meat for me!! ), that I sliced thinly and warmed with stir fried asparagus, roasted peppers (also from the previous night’s supper) and a few thin slices of melted brie on top. This was shared between two for brunch, and served along with a mixed green salad. Here’s how we eat “burgers” for dinner. The burgers look bigger than they are, because they are served on a smaller diameter “lunch” plate, rather than a “dinner” plate. The burgers in this case were served with a large mixed green salad, with a few raspberries on top, a light sprinkling of roasted pumpkin seeds along with a drizzle of cold- pressed olive oil. Below is one of my son’s plates of lamb souvlaki that I also made this past weekend, and served with homemade tzatiki, grilled asparagus and a small Greek salad on the side (my plate had less lamb and a smaller piece of feta and more asparagus – again, because my nutritional needs are different). Want “noodles”? Sure! See the “Recipe” tab for details. These can be cut (or bought pre-cut) in thinner slices like linguine and are wonderful topped with spaghetti sauce or pesto. Eating low carb or keto need not involve this much cooking, either! One can make a simple piece of grilled, broiled or pan-fried fish or chicken, some cooked veggies in the microwave and/or a salad. I happen to enjoy cooking (and my sons enjoy eating!) so this is something I do to relax. Whether the meals are simple with little cooking required or elaborate, there is nothing “restrictive” about eating low carb. As for eating this way being “imbalanced”, someone would be hard-pressed to demonstrate that eating this way doesn’t provide adequate nutrients. There is cheese and other dairy, nuts, seeds, fruit, vegetables and a wide variety of meat, fish and poultry. The diet provides all essential amino acids, essential fatty acids and ample vitamin and minerals – certainly no less than the average Canadian diet provides! As for eating this way being “not sustainable”, what is not sustainable about eating fresh, healthy, whole foods that can be eaten with a minimum of preparation or as elaborate as one’s imagination allows? I know of people that have been eating this way for 15 or 20 years and I personally have been eating this way for just over a year now (see “A Dietitian’s Journey” tab) and there is nothing that I miss! If I want something, I make it! When it was blustery out, I wanted to make “Shepherd’s Pie”, so I made it, substituting cut up green and waxed beans with cubed carrot for the usual vegetable medley and topping with mashed cauliflower, instead of mashed potato. Another time, I felt like lasagna so I made it with thinly sliced Chinese eggplant in place of pasta and it was delicious! Oh and bread? No worries! One of my son’s wanted a “grilled cheese” and so I made him this. What if you want a kaiser bun for a sandwich, or a hamburger bun? No problem (see “Recipes” tab). Crispy, yeasty pizza? Sure! Yes, the full recipe is available on the “Recipe” tab. While “keto pizza” is higher fat than I personally would ordinarily eat as an ‘everyday food’ (because I follow the third type of low carb style of eating and am still in the weight loss phase), if I really wanted a pizza, I’d make it! I can plan for it ahead of time or adjust my eating for a little while afterwards to compensate, but eating this way does NOT involve food restriction. It does require making some adaptation to prepare it differently, but there are plenty of websites geared to supporting those following a low carb lifestyle that have wonderful recipes. I hope this post encouraged you that following a low carb or keto lifestyle is entirely doable, provides adequate essential nutrients from a wide variety of food categories. It is certainly not restrictive or nutritionally imbalanced and can be sustained for as long as someone desires to eat this way. Want to get started, but need some help designing a Meal Plan just for you? I’d be glad to help. Whether you live here in the Lower Mainland or live far away, the identical services and prices are available in-person or via Distance Consultation. Please send me a note using the “Contact Me” form and I’ll reply as soon as possible.